Gordon D. Kaufman, one of the most significant theologians of the last half century, died on July 22, 2011, at the age of eighty-six after several years of declining health. Born in Newton, Kansas, Kaufman received a BA from Bethel College, an MA from Northwestern University in sociology, a BD from Yale Divinity School, and a PhD in philosophical theology from Yale University. He taught at Pomona College from 1953–1958 and at Vanderbilt University from 1958–1963. In 1963 Kaufman moved to Harvard Divinity School, where he taught until his retirement in 1995 as the Edward Mallinckrodt Professor of Divinity. Deeply committed to interreligious engagement, Kaufman held numerous visiting professorships abroad including United Theological College, Bangalore, India; Doshisha University, Kyoto, Japan; University of South Africa, Pretoria, South Africa; and Oxford University, Oxford, England. Kaufman was also awarded a number of fellowships from Fulbright, Guggenheim, the Japan Foundation, and the National Endowment for the Humanities. He was widely published, the author of numerous articles and twelve books including In Face of Mystery: A Constructive Theology (Harvard University Press, 1993), which won the 1995 AAR Award for Excellence in Analytical-Constructive Studies. His books were translated into many different languages, including French, German, Japanese, Korean, Italian, and German. Kaufman was a powerful voice calling for radical change in the discipline of theology. Throughout his sixty-year career, he became the leading voice for naturalistic, historicist, and pragmatic turns in contemporary theological reflection. He challenged traditional notions of theology as expressions of timeless truth, whether they appeal to reason, experience, or revelation. Furthermore, he repudiated more contemporary forms of theology that recognize the particular and historical character of human existence and utilize these insights to bolster new modes of confessionalism and traditionalism. Instead, Kaufman’s own profound sense of the biosocial character of human life — its conditioned, located, particular, and plural character — led him to a sweeping revision of the nature and status of theology. Drawing broadly on evolutionary sciences and developments in social and humanistic studies, Kaufman sought to overcome the bifurcation of history and nature, so prevalent in much modern and, indeed, postmodern thought. For him, humans are thoroughly biological and social creatures who emerged from and remain utterly reliant upon the matrices of natural and cultural life to exist. Human survival and flourishing depend upon the ever-evolving cosmic web, of which humans are only minute parts and whose history is written in every human body and thought. Such recognition led Kaufman both to a strong focus on ecological concerns and to the assertion that theological claims had to make sense in light of changing scientific understandings of the cosmos. While Kaufman was well known for his emphasis on human biological existence and cosmic location, he was also in the forefront of scholarship about the importance of language and culture, not as over/against evolutionary history but as evolutionary strategies underlying human survival and development. Culture, language, and social organization were, for Kaufman, the crucial means by which humans engage reality, create meaning, and locate themselves within the vastly wider cosmic context. Building on the assumption that humans are always interpreting reality and that such interpretations are always historical — emergent in particular times and places, responsive to changing conditions, and inflected by power arrangements — Kaufman proposed a new notion of theology as imaginative construction. For him, theology was the critical analysis and reconstrual of human interpretive systems. Such a view has repercussions for the nature and status of all interpretive systems, religious or secular. For Kaufman, working primarily in relation to the Christian tradition, the ramifications in particular for this mode of theology are momentous. In this view, theology no longer is assumed to be about transcendent reality, timeless reason or revelation, or an unchanging human essence. Instead it is a thoroughly historical and pragmatic enterprise by which humans, in their particular times and places, critically examine and imaginatively reinterpret human existence, purpose, and direction in light of changing claims to knowledge and new conditions that call for novel understandings and directions. As such, theology, just like all other human attempts to understand life, is contingent, fallible, diverse, and plural, shorn of all pretensions of absoluteness or timeless validity. If theology has any chance of contemporary relevance, Kaufman argued, it has to be engaged in such critical analysis and reconstruction. To do so, its conversation partners need to be broad and diverse. In contrast to many other theologians of his era who were oriented primarily toward conversations within their traditions and to historical and textual studies, Kaufman turned instead to current sciences, cultural and social disciplines, and, of immense importance, to other religious traditions. The recognition of religious pluralism and the importance of serious and sustained engagement with the diverse religious and secular traditions that have emerged over time became an enduring theme of Kaufman’s work and one of his central contributions to his discipline. For Kaufman, different religious and secular construals of human existence were distinctive alternatives for interpreting human life, not epiphenomenal expressions of a common human experience or different versions of some shared cosmic truth. Though distinctive, such worldviews were not thereby incommensurate or impenetrable. We could understand, challenge, criticize, and learn from other cultures and other religious or secular traditions. For Kaufman, such engagement is essential if humans have any chance of meeting the immense challenges that confront us. This commitment to interreligious conversation positioned Kaufman to be a leader, along with John Cobb, of the Christian–Buddhist conversation and a long time member of the Society of Buddhist–Christian Studies. Reflections on the issues of religious diversity were found throughout his work, especially in his 1996 volume of essays, God — Mystery — Diversity: Christian Theology in a Pluralistic World (Fortress Press). Kaufman’s engagement of both science and other religious traditions led him not only to reconsider the nature and status of theology but to the radical reconstruction of central ideas within Christian theology, especially the ideas of God and Jesus. Influenced deeply by evolutionary science, a strong ecological consciousness, and the Buddhist challenge to Western notions of selfhood, he asserted that traditional Christian ideas of God were not only irrelevant but dangerous to the survival of the planet. Along with fellow theologians Sallie McFague and John Cobb, Kaufman led the way for reconsidering the Christian tradition’s most revered symbols. In a groundbreaking volume, Theology for a Nuclear Age (Westminster John Knox Press, 1985), he issued an early warning about the interconnections of our views of God and the growing nuclear and environmental threat. His further constructive work offered a radical revision of traditional Christian ideas of God as some supernatural, person-like, and all-powerful being. His books In Face of Mystery: A Constructive Theology (Harvard University Press, 1993) and In the Beginning...Creativity (Augsburg Fortress Publishers, 2000), articulated, in sharp contrast, a view of God as the ongoing, nonpersonal creativity manifested throughout the universe in such emergent realities as the Big Bang, the development of cosmic evolution, and human cultural existence. Moreover, Kaufman argued that if new and novel notions of God were now required so too, were interpretations of other central Christian symbols, including views of Jesus. In his final 2006 book, Jesus and Creativity (Fortress Press), Gordon Kaufman offered a thoroughly historicized and naturalized rendering of Jesus, shorn of traditional notions of uniqueness or divinity but now seen as a this-worldly manifestation of creativity and historical significance. The latter part of the twentieth century and the first decade of the twenty-first century have seen theology increasingly marginalized in the academy with many intellectuals turning to other fields of inquiry. Others have stayed in the discipline but have frequently retreated to new forms of traditionalism and confessionalism. Gordon D. Kaufman was one of a band of intellectuals who called for theology’s revitalization but in a radical new mode, critical and constructive, whose purposes were to help humans take responsibility for our beliefs and practices and to contribute to enhancing the prospects for human survival and flourishing. Kaufman’s commitments to human flourishing were not only central to his scholarly efforts but extended to his teaching and institutional work. Above all else, Gordon Kaufman was a teacher and mentor. Generations of students experienced not only the unsettling experience of having Gordon critically attend to their work but also his dedication as a generous and loyal mentor who cared deeply about their professional and personal well-being. In particular, his willingness to subject his own work and that of others to scrutiny led him to an openness to political analysis and criticism and a commitment to mentor many students who had heretofore been excluded from theology. Feminists, theologians of color, and international students all found with Gordon Kaufman a safe and creative context to challenge traditions and ideas and to develop innovative proposals for new ways of imagining theology. Colleagues, too, found in him a steady presence who was, nonetheless, not afraid of new institutional developments. 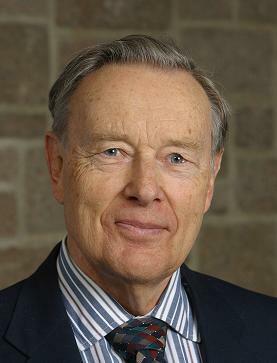 Over a span of more than thirty years at Harvard Divinity School, Kaufman remained a trusted colleague and friend, and a leading contributor in moving the school in new directions, especially in relation to the inclusion of diverse religious traditions in its curricular programs and disciplinary representation. Kaufman’s leadership within the broader academy was equally important and multifaceted. He served as president of the American Academy of Religion, the American Theological Society, and the New England–Maritimes Region of the AAR. He was active in the Boston Theological Society, the Society for Buddhist–Christian Studies, and a frequent participant in the Highlands Institute for American Philosophical and Religious Thought. Gordon Kaufman was also, importantly, a Mennonite. A conscientious objector during World War II, Kaufman often credited his Mennonite roots for his deep commitments to practical concerns, to issues such as war and nonviolence, the environment, social justice, and interreligious understanding. His Mennonite roots and lifelong allegiance pushed him continually to consider the concrete repercussions of human beliefs and practices, not in the abstract, but for the forms of life they support or inhibit. And finally, at heart, Gordon Kaufman was a husband, father, grandfather, and great-grandfather. He and his wife Dorothy Wedel were partners for over fifty years until her death in 1998. They were the parents of children David, Gretchen, Anne, and Edmund, and had eight grandchildren and two great-grandchildren. This In Memoriam piece was written by Sheila Greeve Davaney, Ford Foundation.